The 2018-2019 awards season pulled itself across the finish line last night with the 91st Academy Awards giving Best Picture to Green Book. The night gave us the widest spectrum of wins where Bohemian Rhapsody and Green Book sit beside BlacKkKlansman, Black Panther and If Beale Street Could Talk as Oscar winners in the same year, from the same voting body. On this 74th podcast, the Oscar post-mortem, I am joined by New York film critic Tomris Laffly of Time Out and RogerEbert.com to work our ... Maggiori informazioni way through this bizarre season of over the top controversy and scandal, of show producers' tone deaf ideas and how it ultimately fed into a telecast that gave us inspired wins, unique moments and tearful speeches. Tomris and I also dig into the how the producers listened to the backlash (albeit seemingly oblivious to it), what we thought of the show having no host, our favorite wins and moments and what we hope and want for next year's show. 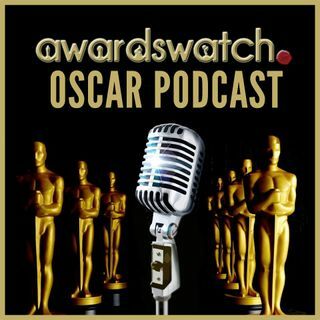 This podcast runs 1h 30m with opening 2019 Oscar moments and closes with, as usual, "New York City By Day," by Thomas Newman from the Original Motion Picture Soundtrack to Desperately Seeking Susan.